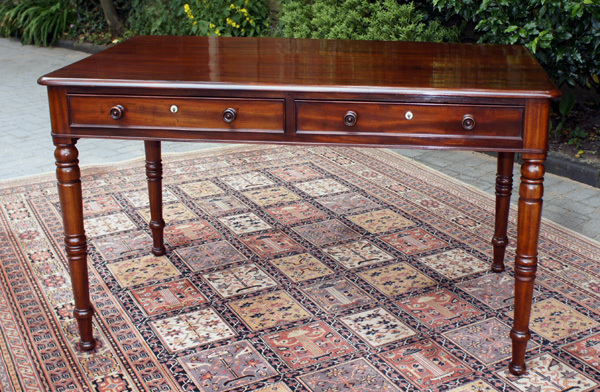 This antique mahogany writing table or side table is from the late Georgian period and probably of Scottish origin. It is made from the best quality figured mahogany timbers and has a solid ​polished mahogany top with a rounded edge and rounded corners. It is fitted with two drawers with ash linings (often found in antique Scottish furniture). They have hand cut dovetail joints, original turned wooden knobs and brass locks. 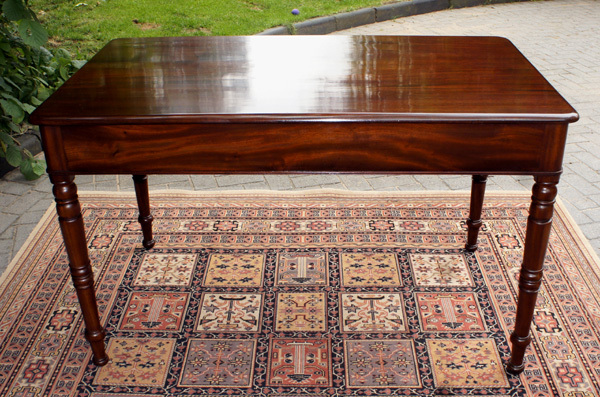 polished mahogany top with a rounded edge and rounded corners. 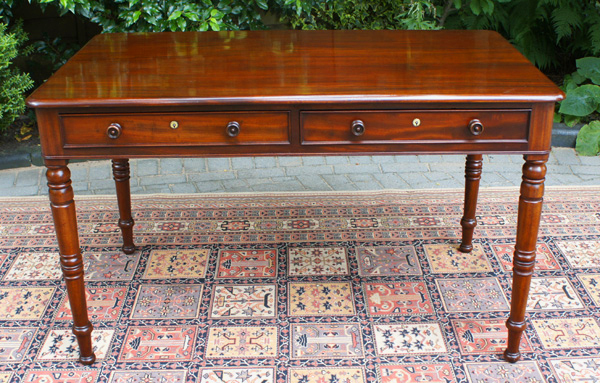 It is fitted with two drawers with ash linings (often found in antique Scottish furniture). They have hand cut dovetail joints, original turned wooden knobs and brass locks. The drawer fronts are finished with 'ogee moulding' to the edges. 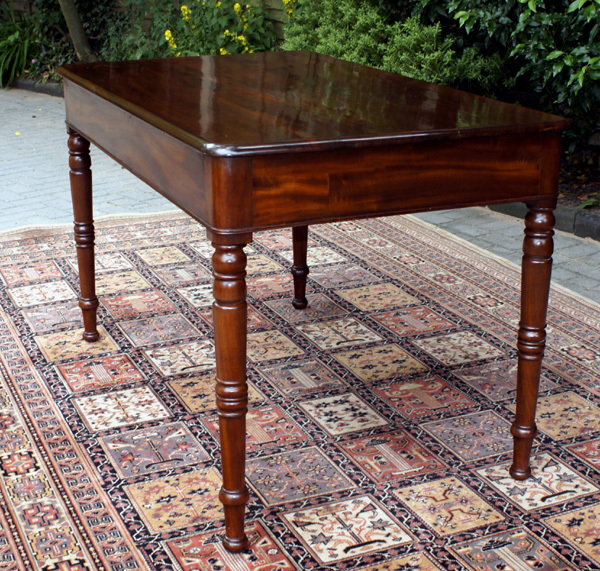 The table is polished all round and stands on four well turned, tapering legs terminating in bun feet. good quality well figured timbers and has recently been cleaned polished and waxed. 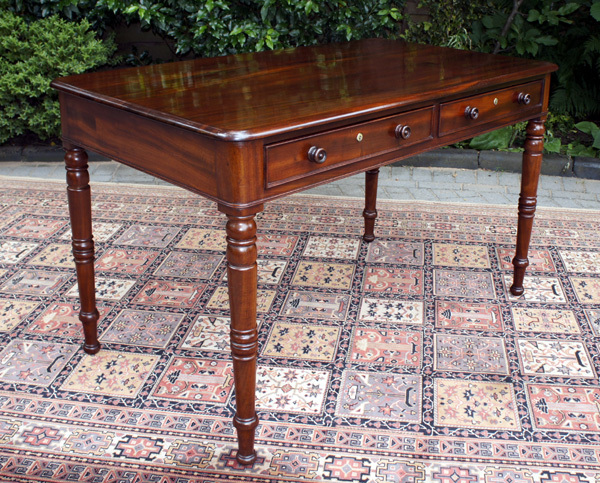 and a good height for a writing table or side table or occasional table.